Check out Tobi's Falling Floral Wrap Dress We're got flirty florals delivered straight to you. 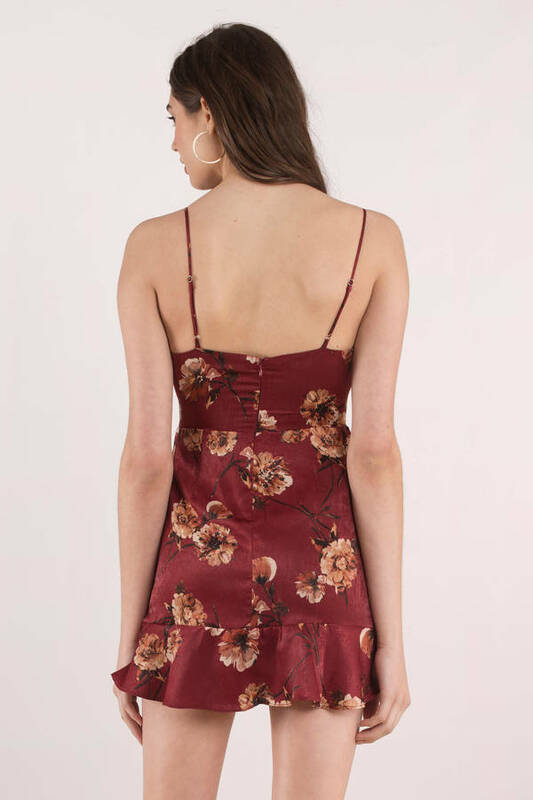 The Wine Falling Floral Wrap Dress has a cute satin finish with sweet ruffles and a gorgeous floral print, perfect for both spring and fall. We're got flirty florals delivered straight to you. 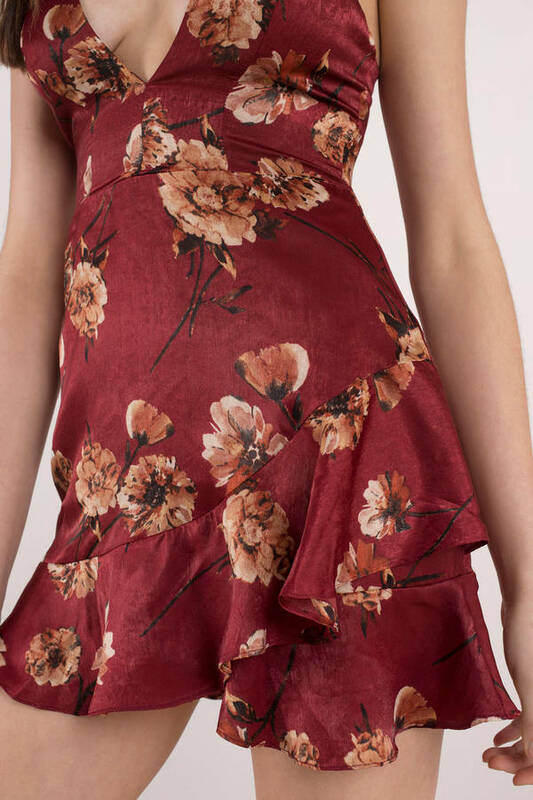 The Wine Falling Floral Wrap Dress has a cute satin finish with sweet ruffles and a gorgeous floral print, perfect for both spring and fall. We're got flirty florals delivered straight to you. 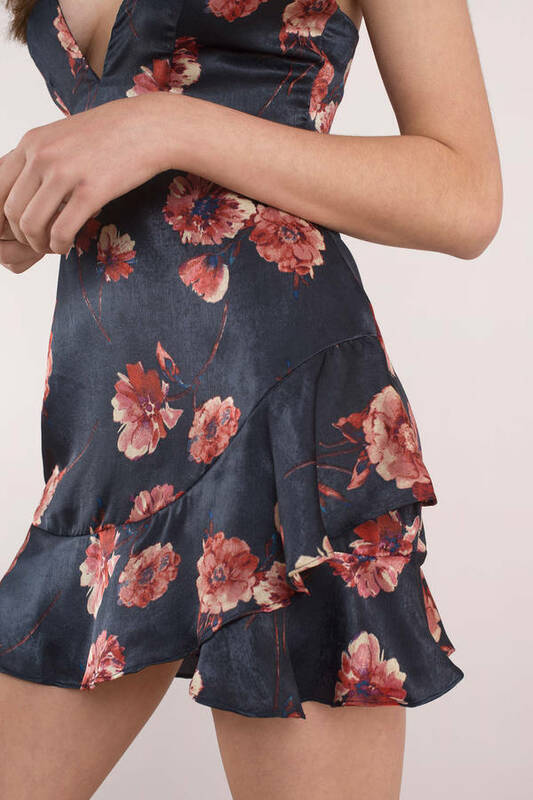 The Navy Falling Floral Wrap Dress has a cute satin finish with sweet ruffles and a gorgeous floral print, perfect for both spring and fall.